Milne Acting Studios USA – Acting Classes in Austin, San Antonio and Los Angeles. 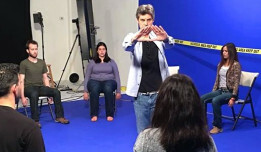 Acting Classes in Film, TV and Theatre for Adults and Teens. 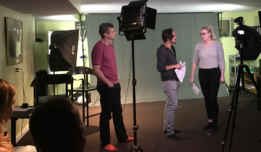 On-Camera Acting School, Workshops, Coaching, Self Tapes, Demo Reels, and Career Consultations. 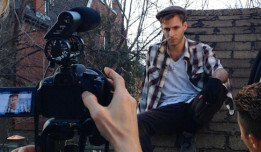 Serving beginners through professional actors in Toronto, Los Angeles, and Texas in studio and online since 1999. Call 855-ACT-FILM. “The best self-tape in Toronto, bar none! Compelling, high-definition, showing the actor at their very best! I would send my actors nowhere else … except when Brad is out of town” Kate Kellner, TGA. Brad is an unbelievable teacher, and this is an incredible school to learn! I have nothing but amazing things to say about Milne Acting Studios! I will be a student for life! Highly recommend! Challenging! Acting is more than passion. It is persistent, hard work. 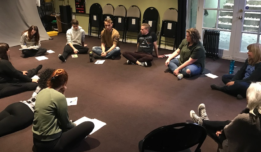 Learn techniques to enhance your acting capabilities at Milne Acting Studio with excellent coaching from Brad Milne.